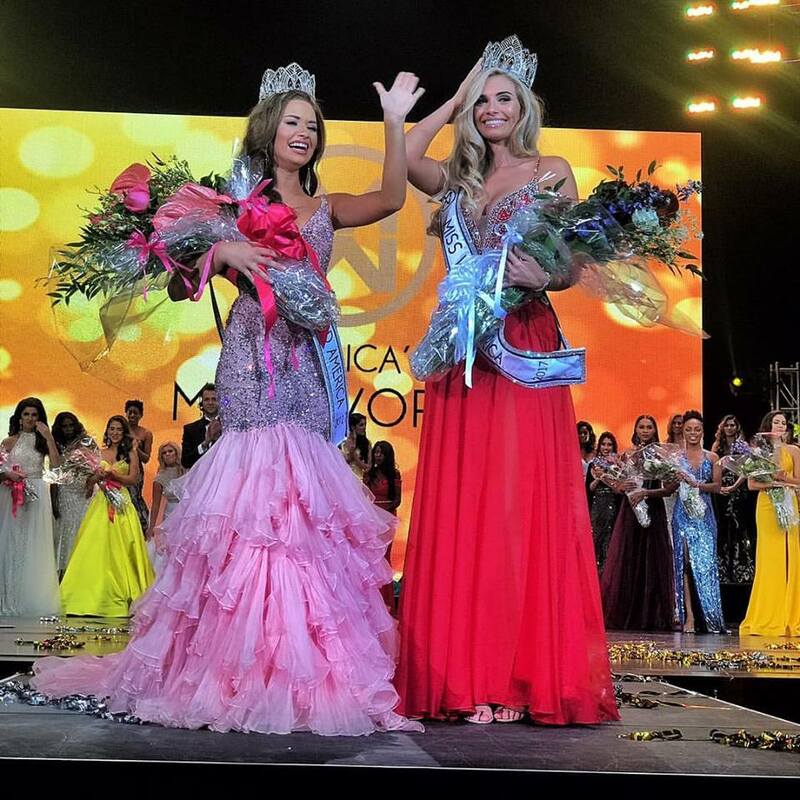 Clarissa Bowers (right), representing Florida, was crowned Miss World America 2017 (America's Miss World 2017) in Orlando, Florida on Sunday night, August 13. She will now represent the United States in Miss World 2017 pageant in Sanya, China in November. Her court includes 1st runner-up Maureen Montaigne of Arizona, 2nd runner-up Chance Cessna of the District of Columbia, 3rd runner-up Emanii Love Davis of Georgia, and 4th runner-up Alexandra Curtis of Rhode Island. Meanwhile, Gracen Grainger (left), 16, of South Carolina was crowned the first Miss Teen World America. Completing the top five were 1st runner-up Alyson McNair of North Carolina, 2nd runner-up Rebekah Holsenback of South Carolina, 3rd runner-up Jillian Elliot of Lousiana, and 4th runner-up Laken Giles of Florida. The Miss World America Organization is owned and produced by former Miss United States 2014 (and 2nd Runner-Up in Miss World 2014) Elizabeth Safrit and her mother, Dr. Lynn Scott Safrit.